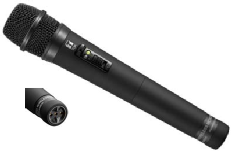 Dynamic cardioid microphones are capable of effortlessly accommodating high input levels without overloading. For instance, the WM-5270 incorporates a pad switch that changes the maximum allowable input sound pressure from 132 dB to 142 dB to better match a wide input level range for optimal performance. 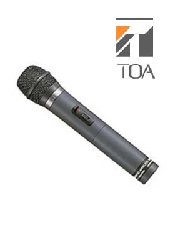 TOA speech microphones are optimized with a frequency response tailored to emphasize clarity, thus delivering increased intelligibility. 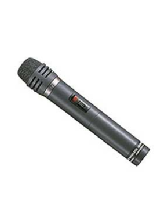 These microphones employ electret condenser elements that minimize handling-related noise, making them particularly suited for speech applications. TOA speech microphones are optimized with a frequency response tailored to emphasize clarity, thus delivering increased intelligibility. 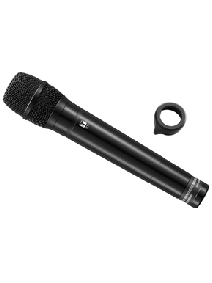 These microphones employ electret condenser elements that minimize handling-related noise, making them particularly suited for speech applications. These microphones feature a more streamlined, less bulky profile compared to conventional models, thanks to a new built-in antenna. In addition, overall weight has also been reduced, as the transmitter component now weighs less. Transmitter choices include headset types and units optimized for aerobics applications, allowing users to precisely choose a model that best suits their requirements. TOA speech microphones feature wide-area receptivity, enabling operation as far as 120 meters (when YW-4500 used) away from their tuner units. PLL-synthesized circuitry oscillation enhances carrier frequency stability and reliability, for improved performance. An at-a-glance indicator warns of low battery status, while the microphone’s single proprietary TOA battery (average operation exceeding 10 hrs.) reduces size and operating cost. A trio of new wireless microphone transmitters from TOA Electronics includes the WM-5225 condenser handheld transmitter, the WM-5265 dynamic handheld transmitter, and the WM-5325 bodypack transmitter for use with lavalier and headset mics. With 64 selectable frequencies within a 30MHz band, they are rechargeable and can run up to 10 hours when used with optional AA NiMH batteries. Three charging stations are available with the largest providing 12 charging slots. All three microphone transmitters are compatible with existing 5000 series receivers as well as the WT-4820/WTU-4800 modular tuners. These models are available now on any of four frequency sets ranging from 576 MHz to 698 MHz (E01: 668-698MHz; F01: 638-668MHz; G02: 614-638MHz; and H01: 576-606MHz). 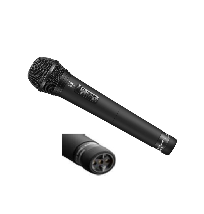 The WM-5270 Wireless Microphone employs a dynamic microphone capsule with high input handling capacity and is suitable for vocal application and other professional uses. Thanks to the PLL-synthesizer system, 16 different operating frequencies (4 banks) are made available. A high output power ensures stable radio signal transmission. The maximum input sound pressure can be set in the range of 130 dB SPL to 142 dB SPL by a PAD switch, permitting adaptation to wide range of input sound pressure. Maximum input level: 125 dB SPL. On/Off switch also keeps mic from rolling when put down. Frequency range may vary by area (between 169 to 216 MHz). Maximum input level: 130 dB SPL. (between 169 to 216 MHz).